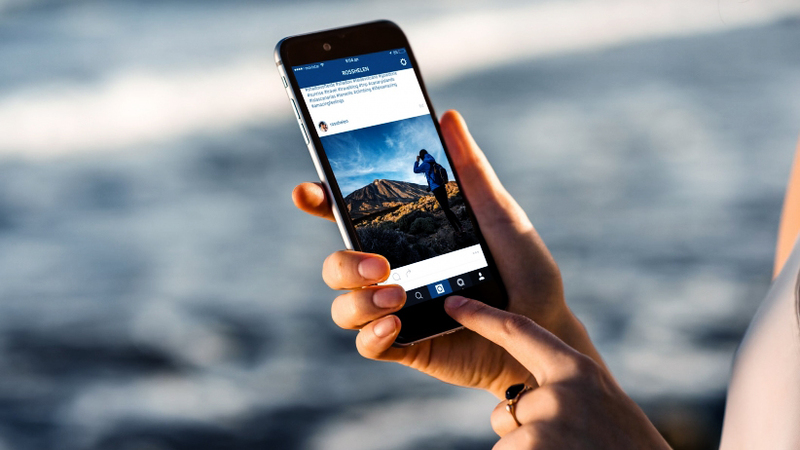 Instagram continues to roll out major updates at a rate seemingly close to one per week. While Snapchat's ephemeral nature might have inspired Instagram's original push in the current direction, Instagram is breaking new boundaries. Its latest improvements explore users' fascination with the fleeting nature of content. “We’ve seen Stories open up a new side of what people share on Instagram, and now over 100 million people use it every day," the Instagram team claimed in an official blog release that announced "two more ways to share freely and in the moment." That pair of features sets Instagram apart from Snapchat and other visually based social networks. The first "new" tool technically is an update to the older Instagram Stories capability. Users still can share Stories with a select number of viewers, but there's an interesting twist: In the style of Snapchat, a user can watch the Stories item only twice before it disappears into the abyss. It's Instagram Live, though, that's really stealing the show. As the name suggests, Instagram now allows users to broadcast live videos. Think Facebook Live, with an added element of urgency. Each video disappears as soon as its poster stops streaming. Meerkat and Periscope both started in similar fashion. (Remember those times, which seem like a century ago?) Livestreaming was all the hype then, and users predicted social media had turned a new page in its life story. Those services never really caught on, but Instagram's popularity and power could push widespread broadcasting abilities to the forefront. First, because no replays are available, followers have a real incentive to pay attention to the message in the moment. They also can engage with broadcasts through Instagram's comment and like tools, though the platform keeps control in the streamers' hands. Those who livestream can disable comments during the broadcast or pin the best ideas to reinforce key ideas and feedback. Second, users can create as many livestream events as they wish. If things didn't go as planned, they can simply restart the stream. Instagram makes further use of its algorithm-based feed to help followers learn about Instagram Live content. When a user goes live, Instagram helpfully displays a "Live" label beneath his or her profile photo in the Stories bar. To help ensure greater exposure, the beloved "Explore" page will evaluate top broadcasts taking place at that point in time. The “Top Live” section will offer a compilation of live Stories Instagram deems relevant to your interests and activity. Users can swipe right and left to quickly and intuitively skip through the video selection. Instagram Live has the potential to make a big splash in social journalism, but it has huge implications for entrepreneurs. Business owners truly can take their followers behind the scenes to highlight company culture or host Q&A sessions to educate and entertain. Because content is both live and ephemeral, it presents an intriguing opportunity for entrepreneurs to connect with audiences on an authentic, deep level. If you've neglected to explore live-video marketing so far, this might be the perfect time to start practicing your skills. After you get comfortable in front of the camera, prepare how you'll respond to questions that are likely to be asked in live mode. Know your material and your message so you'll be able to improvise in the moment and effectively field unexpected comments. Above all, spend time thinking about the most important question that Instagram's new offerings could help you answer: How much closer can you bring your community?